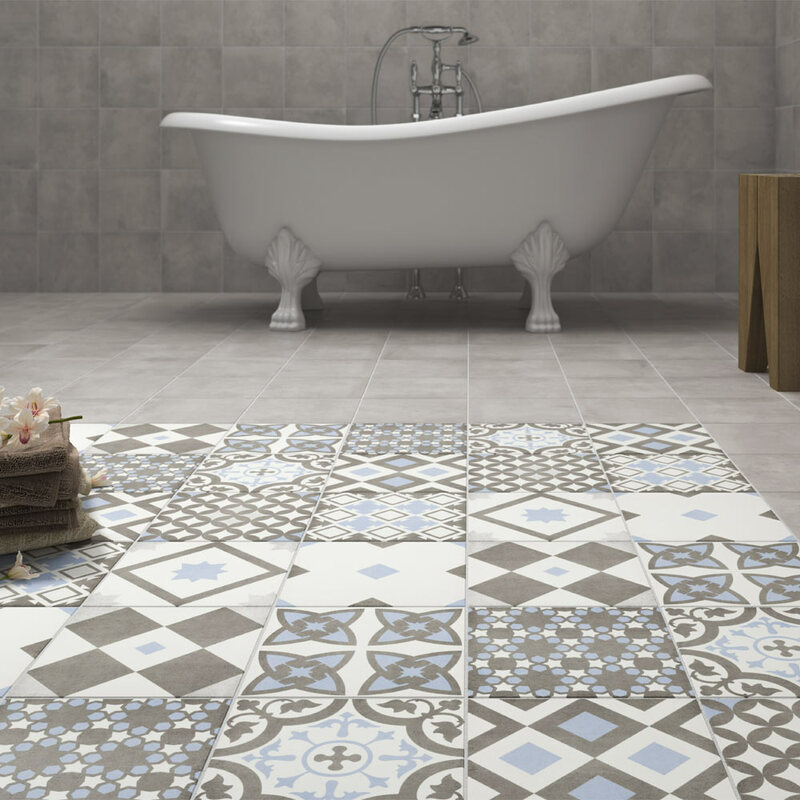 Blog Home›Why Do Patterned Tiles Work So Well In The Bathroom? Posted By Edward, 9th Aug 2017. 5 Minute Read. Why have patterned tiles become so popular? Which bathroom tiles work best with patterned tiles? If you're the in midst of planning a new bathroom right now then one exciting trend you simply cannot ignore is patterned bathroom tiles. These beautifully creative tiles have exploded on the bathroom scene in recent times and show no sign of slowing. Patterned tiles can really add something unique to your bathroom design and the patterned look is something that could be recreated in any home. 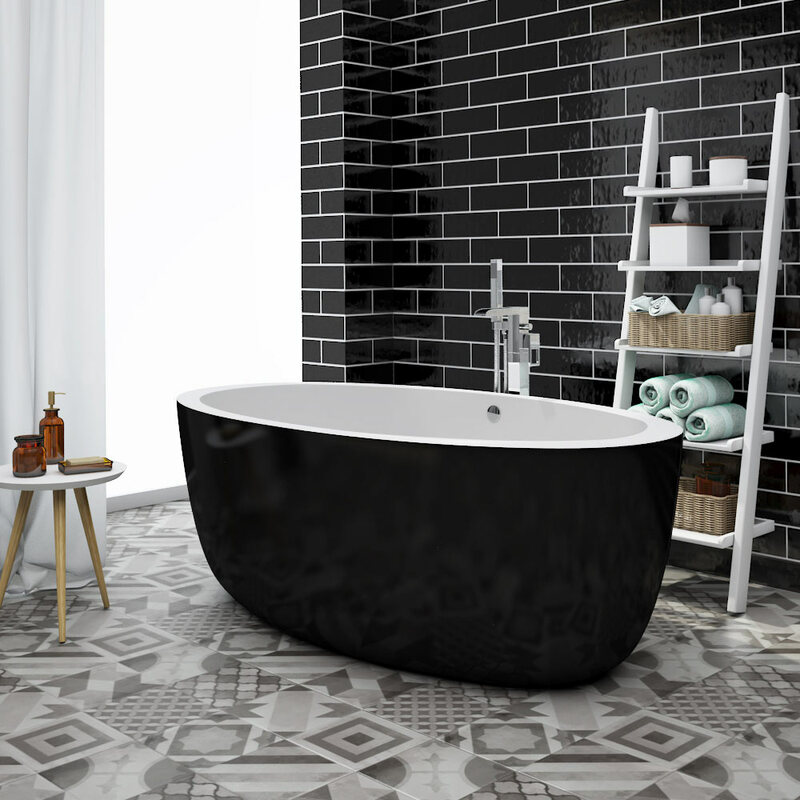 In this patterned tiles buying guide from online UK bathroom retailer Victorian Plumbing we take a close look at why this style of tile has become so popular and share our ideas on how to use patterned tiles to create something special in your new bathroom. Patterned bathroom tiles offer something completely different to any other style of bathroom tile. The creative shapes and intricate design of these tiles draw the eye and instantly makes a feature wherever they are used in the bathroom. Patterned tiles can also work equally well in either a modern or traditional setting. 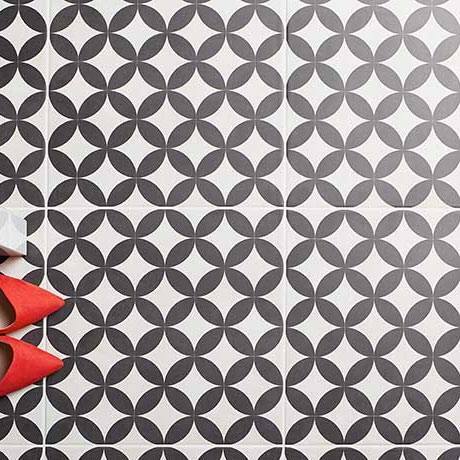 Pattern tiles are universal enough to be used on either your bathroom floor or walls. Another reason this style of tile has become so popular is that they add a designer look to your bathroom. This designer edge helps to make a bathroom appear more expensive when in reality patterned tiles are just as cost effective as any other bathroom tile. The rich history of patterned tiles also adds to their allure and mystery. The patterned tile look originated from the Mediterranean countries of Spain, Portugal, Morocco, Italy and Greece. This cultured background has led to patterned tiles also being known as Spanish tiles, Moroccan tiles, patchwork tiles, bohemian tiles (aka boho tiles) and even artisan tiles. The modern version of these tiles you can buy today takes inspiration from all over the Mediterranean. One of the easiest ways of employing patterned tiles in your bathroom is to use them on your bathroom floor. A nice idea is to keep your bathroom walls simple with either plain painted walls or plain tiles and then use patterned tiles to create a dramatic footprint on the whole of your bathroom floor. An extremely popular look is white walls and a patterned tiled floor. 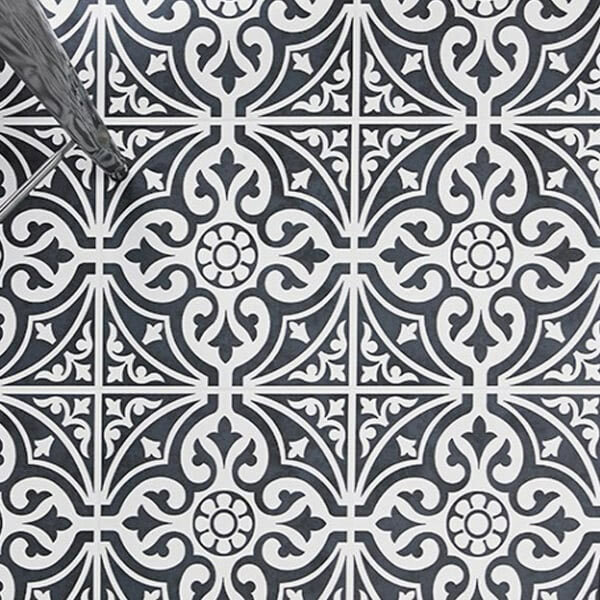 Our black or grey Kingsbridge patterned tiles are perfect for achieving this look. Another idea is to use patterned tiles sparingly in a certain area of your bathroom. Remember a little is a lot when it comes to these beautiful tiles so think carefully about which part of your bathroom would benefit from them the most. Why not consider using patterned tiles on just one wall of your bathroom or maybe use them to tile the inside of a shower enclosure or walk-in shower? In the picture below our light blue and grey vibe patterned tiles have been used to highlight a beautiful white freestanding bath. Another creative way of using patterned tiles is to use them as the splashback behind your bathroom basin. 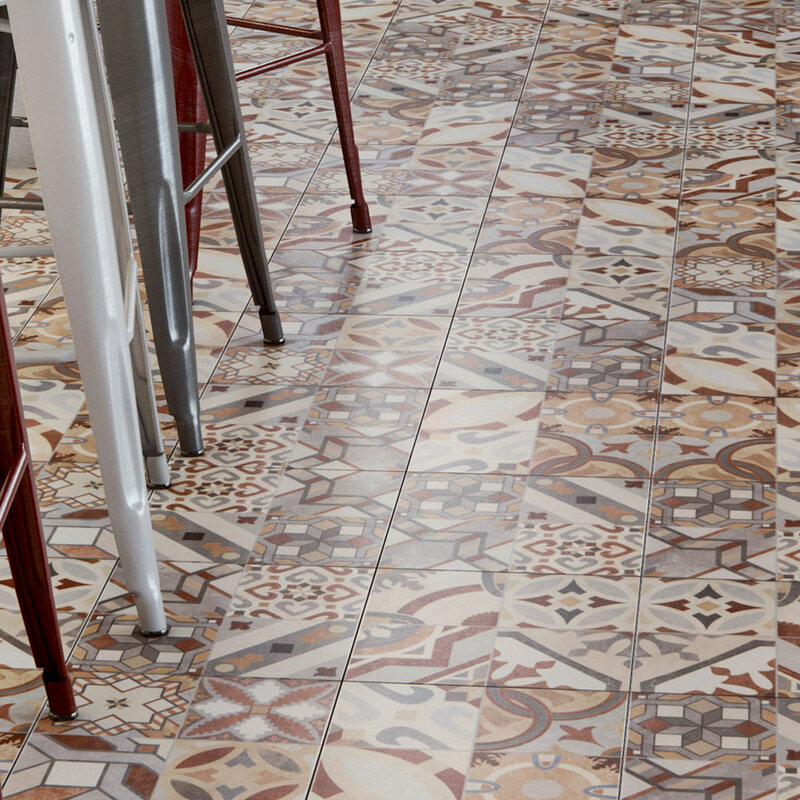 Colourful options like our Seville patchwork patterned tile would be perfect for this. One more idea is to use pattern tiles to subtlety draw attention to the recesses and alcoves in your bathroom; making a feature of these often forgotten areas. As mentioned above it's best to use patterned tiles sparingly so as not to overwhelm your room too much. With that in mind you need to keep a keen eye on tiles that will complement your choice of pattern tile. Bathroom tiles with a plain texture will work best for this. Metro tiles work brilliantly with pattern tiles. The uniform, glossy appearance of metro tiles makes them a great choice for bathroom walls above a pattern tiled floor. Another clever choice is to opt for a plain tile that works with the colour of your pattern tile. Large light grey tiles work well with rustic grey pattern tiles and large white tiles work nicely with monochrome patterned tiles, for example. I really hope you have found our patterned tile ideas useful and we have inspired you to consider this hugely popular trend for your latest renovation. If you're in the mood for further tile inspiration then a good place to start is our very own bathroom tiles board on Pinterest. If you would like to discover other trends that are big in the world of bathroom design then our bathroom trends board on Pinterest is full of inspiration too. 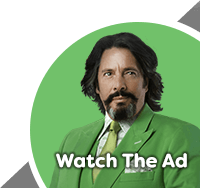 Thank you for reading and good luck with your new bathroom.